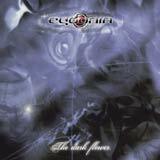 Here is an interesting new release from the Italian band Cydonia (their second), entitled The Dark Flower. I haven't heard the debut album of the band, but I have read that it is a straightforward power metal album. I can tell you that The Dark Flower is not that at all. Cydonia seem to have found a style that uniquely indentifies them: a hybrid of melodic power metal, thrash, and a touch of prog. The foundation of Cydonia's sound are the forceful riffs and rhythms. Also, the sound is well balanced by a very authoritative bass presence. You will hear some staccato style riffing scattered about the album which is a nod to the old school, bay area thrash sound. However, the songs are also packed with melodies which makes each track stand on its own. I also feel a little bit of pre Trapped era Rage in the band's sound, largely due to the vocal style. I can't believe how much the lead singer sound like Rage's Peavey Wagner at numerous occasions throughout this album. I actually had to check the promotional material to make sure that Wagner wasn't a guest musician on this disc. With Rage being one of my favorite bands, this is a nice surprise for me. Cydonia's vocalist, Dan Keying is also the writer of all lyrics and music: a very talented musician indeed. The keyboard textures are a vital part of the band's sound as they add a distinct atmosphere to the album. An ominous, and at times futuristic sound is achieved throughout the album which works well for the concept of the album. The production is very clear and like I said, the mixing is just right with the bass providing a great foundation for the album. "It is clear that 'they' had to create a genetic system, based on gross material, capable of natural development, in order to justify the reply to the life process, but mainly in order to hide the true face of reality……a crazy game?" "Our senses lead us to the easiest and safest way and they make us hate each other, fight against each other on different religious ideas, which are now confused by greed". "There are things with neither time nor space, completely opposing the pure concept of matter. The most visible ones are dreams; many of them can generate fears, if you cannot identify the door to a hidden dimension within them… you are careless, you look ahead, improving your life-style, your eyes betray you with clear images, distracting your attention from the real ones. These images are even too evident for you to realize that this flower does not belong to you. Being careless, you do not notice who has always been observing you, who has always allowed your free-will in the game… A game which gives vent to your fantasies, releasing your unknown hate from your soul, that leads you inevitably to contaminate the precious flower, enclosed within walls of incubus, of no hope. From above, watchers, soldiers of light, control matter, senses, thoughts, dreams, so that your fierceness may remain confined within the dark flower." With The Dark Flower, Cydonia offer a conceptually interesting album with a style that is their own. The music is refreshing with its blend of power, aggressiveness, and atmosphere. Cydonia is able to avoid the "cookie cutter" label with this album, and it bound to remain in my cd player for quite a while.